It’s been cold. Too cold. People. I moved from Michigan to Texas to get WARM!!! This winter has been crazy down here in Houston. Cold weather and being stuck indoors with six crazy, little people… Soup was on the menu! 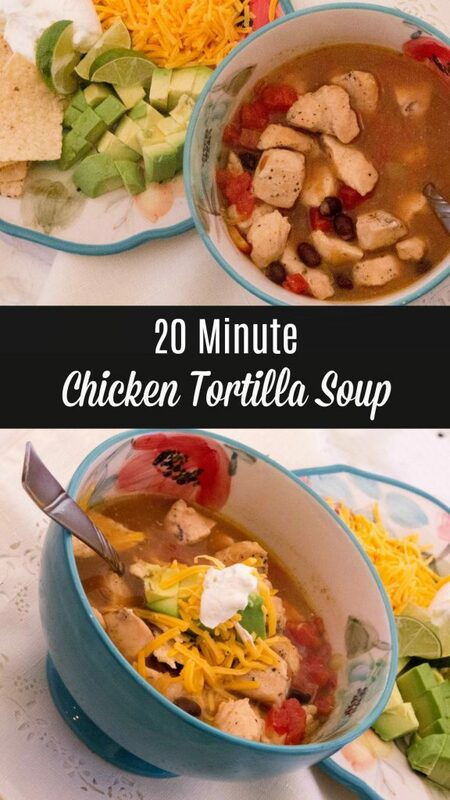 I love this 20 minute Chicken Tortilla Soup. It is so fast, so easy, and so good! 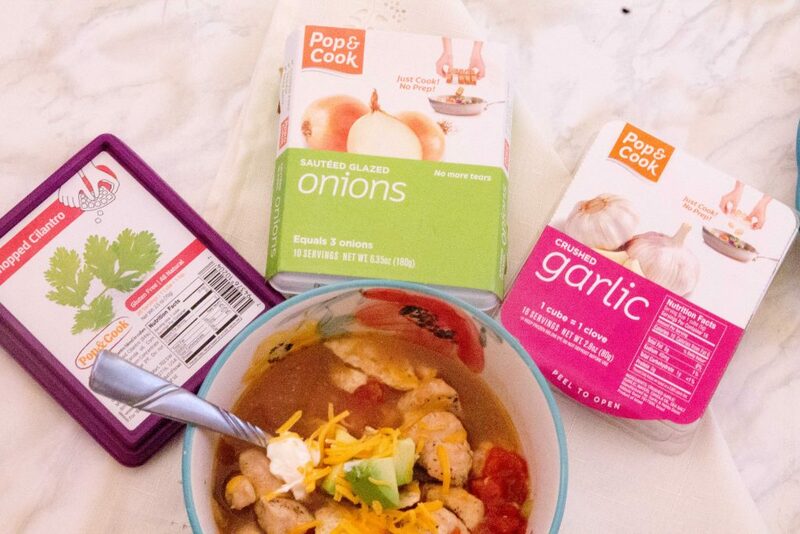 My favorite way to save time is to use Pop & Cook. 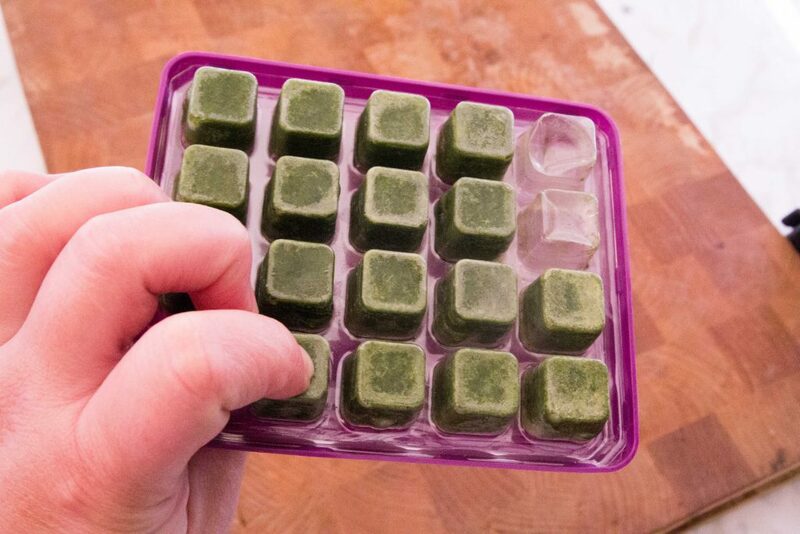 It is the ultimate kitchen hack! 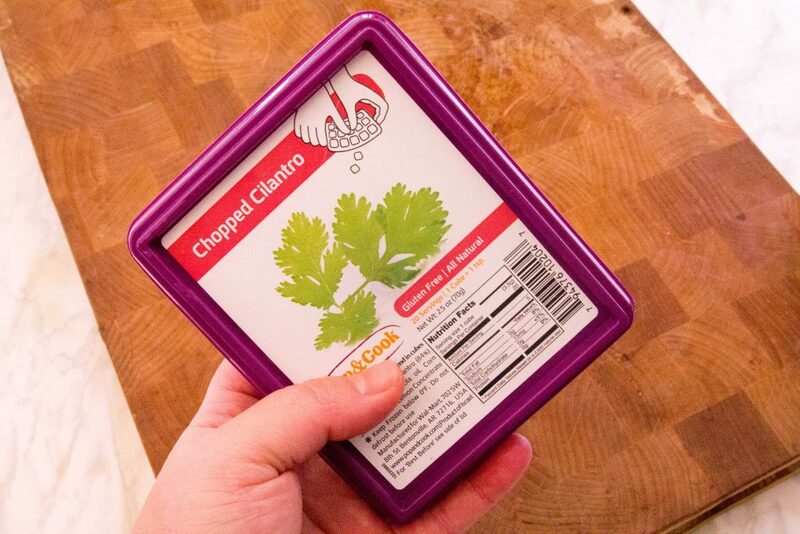 These little frozen packages make it so easy to add onions, cilantro, garlic, & more to anything I am cooking. Just pop out a square and cook. 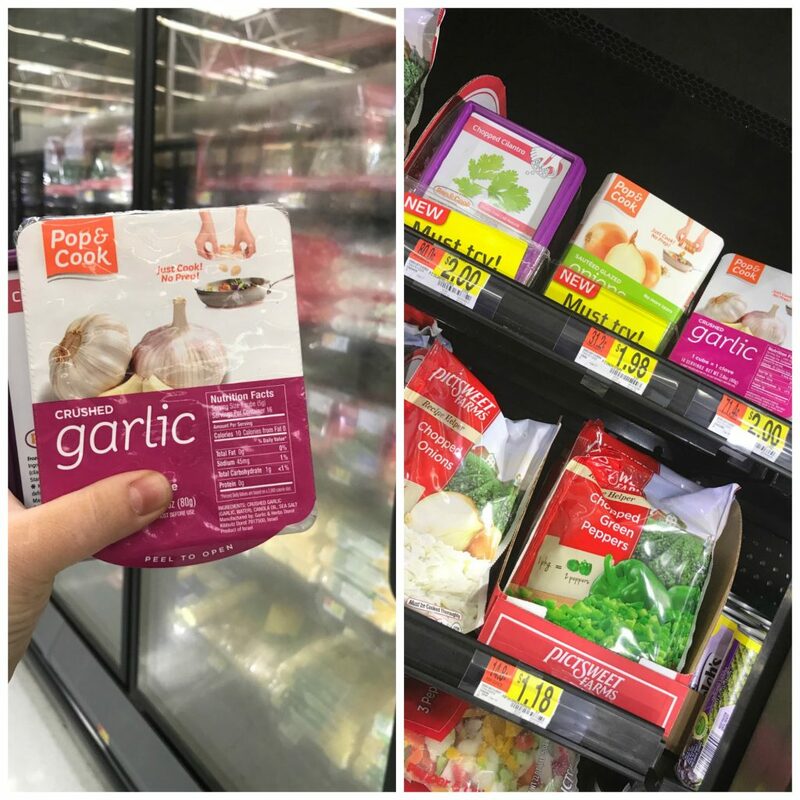 I found them at Walmart and I am in love with this new easy way to add herbs and veggies to my dinners. No more worrying about produce going bad before I can use it or making an extra trip to the store. Got all the herbs and veggies in the freezer ready to cook! I almost always have all these ingredients on hand in the pantry and freezer. It’s an easy soup to make with leftover chicken or turkey. Pour all ingredients into medium/large saucepan. Pin this recipe for those nights you just either don’t know what is for dinner or feel like standing at the stove for long!!! The whole family loves this one and you just can’t beat dinner in 20 minutes! I hope you are all warm and safe with all this crazy winter weather! I am looking forward to SPRING!!! This looks like a tasty weekday meal. I like that it only takes 20mins to make! Yum! I love chicken tortilla soup! I always forget to make this though, I always go to the classic chicken noodle. I need to keep this in mind for meals more! Wow! I have not heard of Pop and Cook! This makes things look so easy. I’ll have to try it! Sign me up I love soup and tortillas so this is something I would prepare for me and my family and now that has been so cold perfect dinner option. I HEARD Texas got snow – I was like you, thinkin’ Texas weather was all hot and stuff. Good call on cookin’ that delicious looking soup. 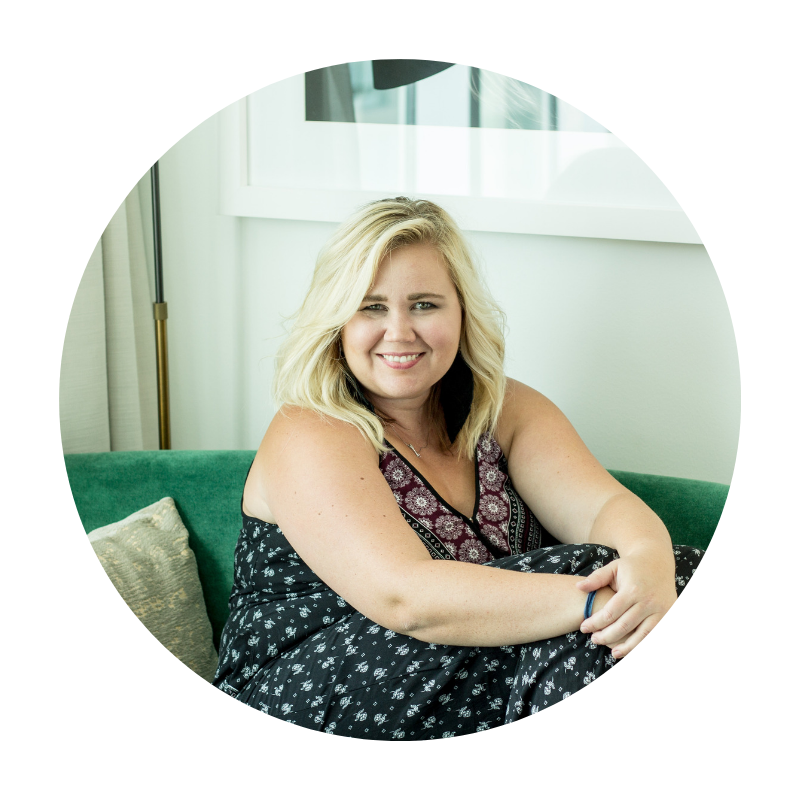 I love hearing/reading about quick recipes…healthy and quick. I may omit a few ingredients (ugh why am I so picky?) like the onions and cilantro though. I’m gonna book mark this one 🙂 I bet it’d freeze well. Good, considering I have my first baby arriving in 3~ weeks. Eek! Oh, my goodness! This looks absolutely divine. I’ve never had a soup like this before, so I’m dying to try it now!! 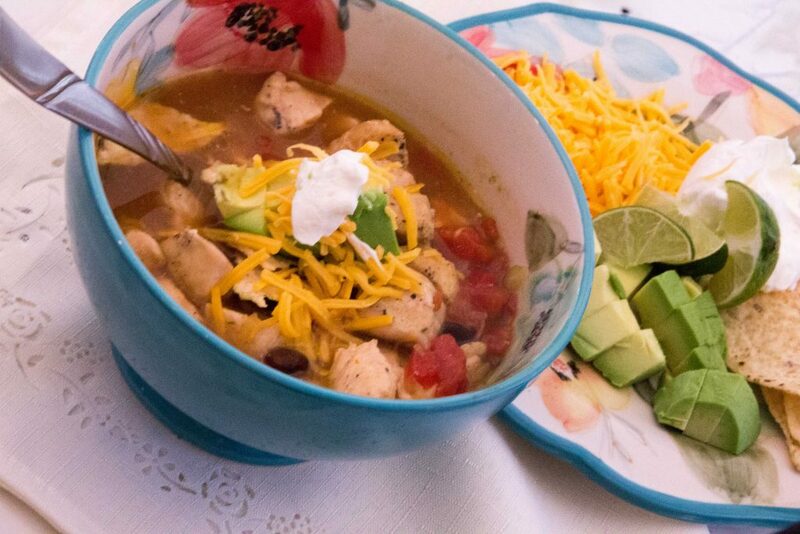 I’ve been looking for a good chicken tortilla soup recipe — a little something different to try for Taco Tuesday! This one seems easy enough so I must try it. I’m all about easy cooking! I love chicken tortilla soup! This looks like a recipe that’s simple enough for even me! I’ll definitely have to add it to my meal list for February. Yum! I love soup to warm up this time of year. 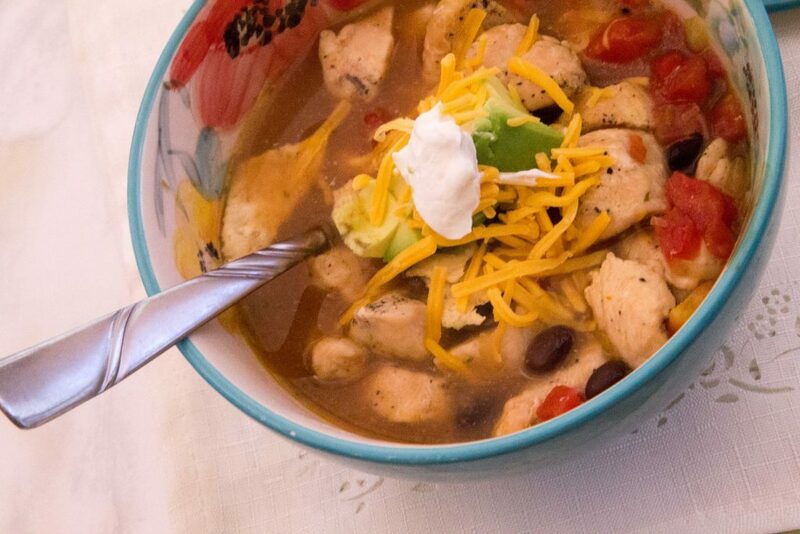 This chicken tortilla soup looks so easy and fast! Plus I love all the fresh elements like avocado and lime. Yum! I am always ready for a new soup recipe and this one seems finger-licking, Keikilani! Excellent combo of ingredients. Can I use red onion for this recipe? Absolutely! Any kind of onion would be amazing.